It just takes a quick look around your living room to confirm that we're far from living in a wireless world. But as this hanging Free Willy lamp shows, there are clever ways to deal with all the cables snaking through your home so you're not constantly tripping over them. The solution here is to simply incorporate the extra cord slack into the lamp's design, which is elegantly accomplished by just stuffing it inside its hanging clear globe. 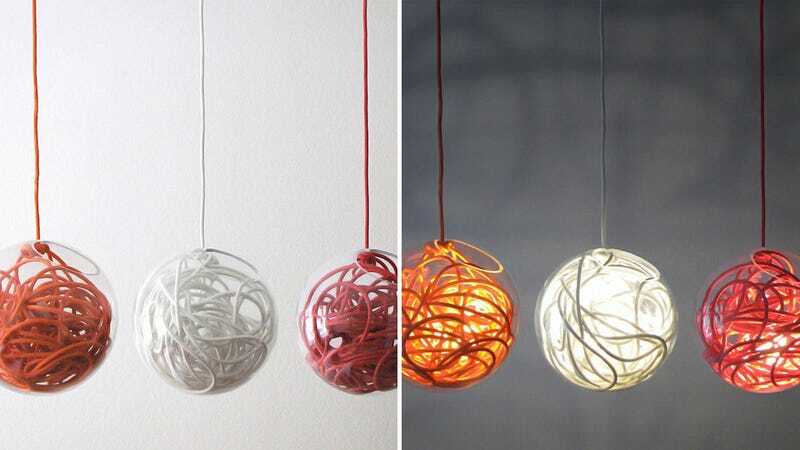 The mish-mash of cable ends up surrounding the bulb and working as a sort of shade, diffusing its glow and casting unique patterns around a room. But at over $370 it's a pricey alternative to just wrapping a zip tie around the extra slack.